Free cake at coffee shop garden launch! 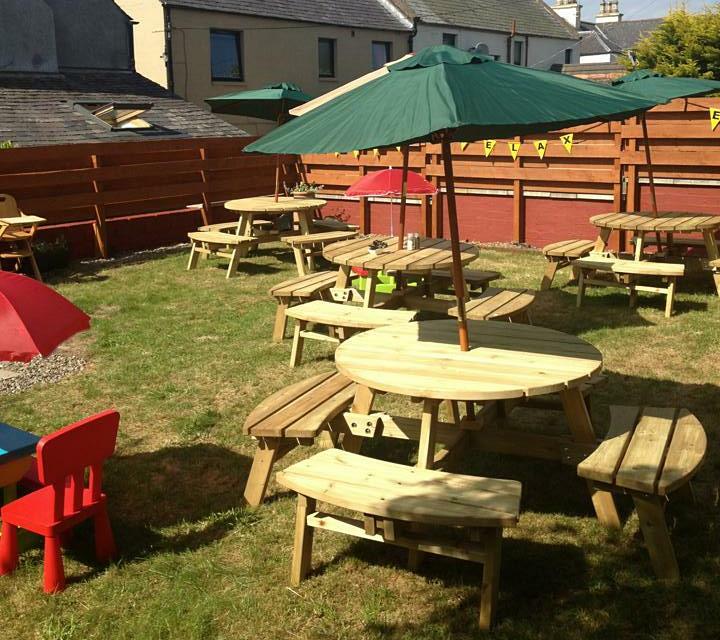 Hugo’s coffee shop in Laurencekirk are celebrating 6 months in business with the opening of their garden area this weekend. The area has been decked out in garden tables, parasols and kiddie benches, perfect for the sunny weather. The garden is open today, Saturday 8th, with the official launch set for 1pm on Sunday 9th. There will be free celebration cake and a visit by Hugo himself! You can find Hugo’s at 63 High Street, Laurencekirk.